The bill would require media outlets to provide copies of photographs and audio or video recordings to subjects of interviews or risk a civil penalty. Six Republican state representatives in Georgia have moved to create an "ethics board" for journalists that would require news organizations to provide copies of pictures and audio and video recordings of interviews to subjects who request them or risk civil penalty. The cost of meeting those requests would be paid by the news organizations. The proposed legislation, House Bill 734, titled the "Ethics in Journalism Act," was sponsored Tuesday by Rep. Andy Welch, who represents the city of McDonough. The bill would create a board of media professionals and academics that would produce"a canon of ethics" and "develop a voluntary accreditation process in journalism ethics," which would also allow for the investigation and sanctioning of journalists. The proposed board appears to have little power to punish journalists other than to remove its own accreditation or impose a penalty if the interview request provision is not met. Welch also announced that he was retiring from Georgia's legislature at the end of its session on Tuesday, but that the bill would remain available for consideration during the state's 2020 legislative session, according to The Atlanta Journal Constitution. The bill's introduction comes during a turbulent time for U.S. media outlets, particularly those that serve local areas. As much advertising has moved online — mostly to Google and Facebook — the number of journalism jobs across the country has declined sharply. That decline has been matched by declining public trust in journalists. The survey company Gallup found that less than half of Americans have "a great deal or fair amount of trust in the mass media," with a stark divide between Democrats and Republicans. Only 21 percent of Republicans surveyed by Gallup said they have a great or fair amount of trust in the media, compared with 76 percent of Democrats and 42 percent of independents who say the same. Growing political attacks on journalists — with President Donald Trump routinely referring to the press as the "enemy of the people" — have led to some discussions about changing laws or writing new regulations on how the media operates. Though Trump has yet to formally introduce any legislation, he has said publicly that he would like to revisit American libel law. In February, Supreme Court Justice Clarence Thomas wrote an opinion saying the high court should do just that. 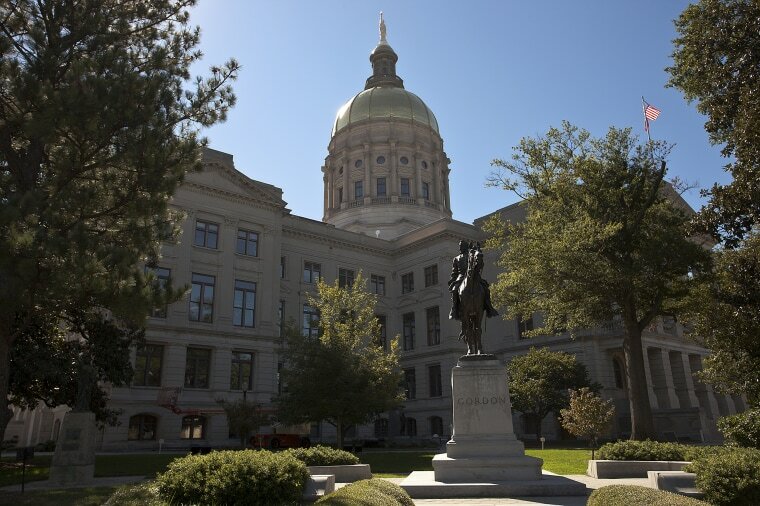 The Georgia Republicans' bill drew the attention of some journalism academics and professionals who expressed a mixture of concern and exasperation over the proposed legislation. Jonathan Peters, a media law professor at the University of Georgia, tweeted out a simple statement: "This is a terrible idea." Ella Dorsey, a meteorologist with Atlanta's CBS affiliate, tweeted: "So now we’re going as far as ignoring the constitution and freedom of press. Get it together Georgia. It’s time to stop going backwards." The Radio Television Digital News Association, a professional organization for journalists, released a statement citing its own code of ethics and warning against using such a concept against journalists. Journalism ethics, it said, "are a tool to empower the public to make informed decision about the information consumption, not a weapon by which government can silence journalism and avoid the accountability journalism is constitutionally mandated to provide the people of Georgia."